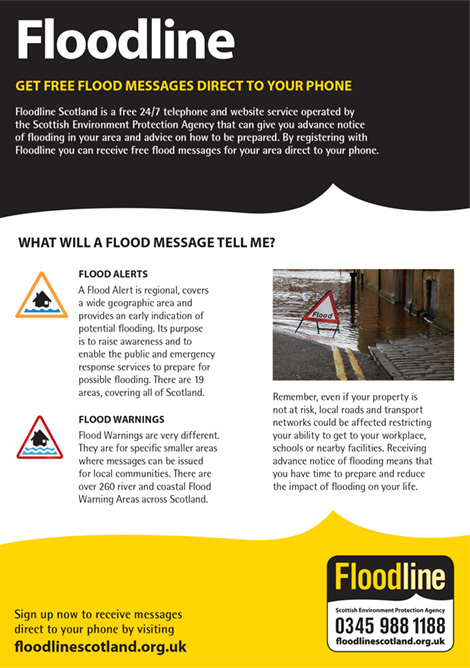 Floodline provides guidance and advice on how to prepare for and cope with the impacts of flooding to the Scottish population. It is part of the Scottish Environmental Protection Agency (SEPA) but operates under a unique, consumer facing brand identity. The scheme had been in place for a number of years during which its visual identity had evolved. This resulted in a disjointed and inconsistent approach to the application of the brand with a number of different styles and logotypes in existence. To rectify this SEPA approached us to refresh the brand and rationalise its design guidelines. Our starting point for the project was an audit of the existing marketing material. This enabled us to identify the consistent design themes and elements that would be retained. 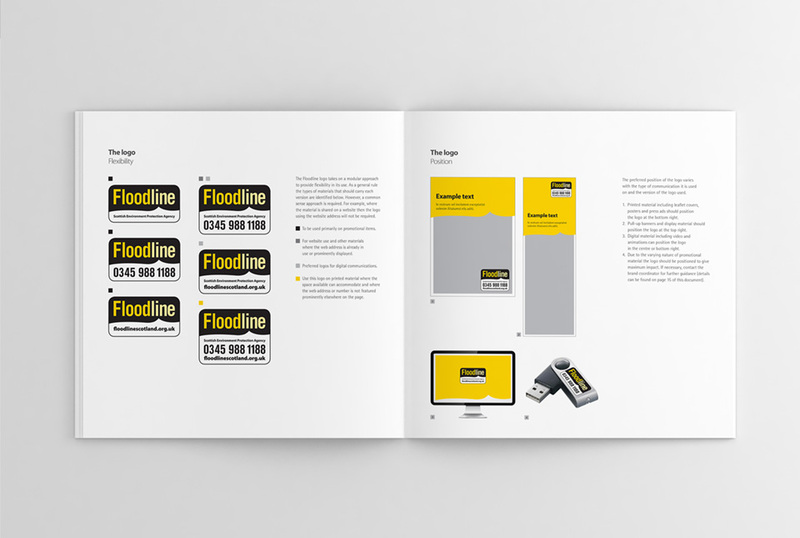 We simplified the Floodline logo and ‘wave’ device and introduced these as consistent elements across all of the brand’s applications. We created extensive design guidelines that detailed how the brand should be treated and applied across a wide range of marketing collateral. 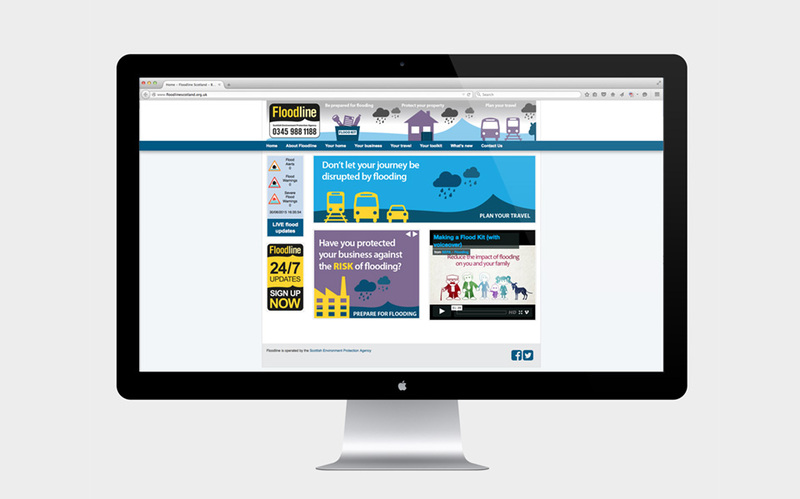 The successful delivery of the project and the positive reception of the new brand has led to an ongoing relationship with the Floodline team. This has seen us putting the design guidelines into practice across a range of marketing material including digital adverts, printed leaflets, press advertising and series of design templates for corporate reports.